C.C. Chapman is a capital fellow, I’ve had the pleasure of working with him on a project and have heard him speak live a handful of times. I have yet to listen to him and NOT get enthused about the topic. His books even get me up off the couch and out doing things. Imagine my surprise when other interested intersected. 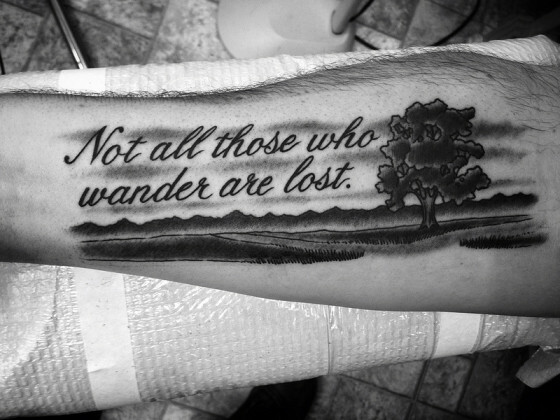 His latest tattoo is a Tolkien quote, and a good one at that. Seriously read the explanation. If you’ve been around the site for any length of time you will figure out that I love two things very dearly, you know beyond my family and friends. Coffee and Tolkien. Tolkien is my first love when it comes to fantasy authors. The man did not write stories, he created worlds. Middle Earth is as real to me as any place I have never been. I’ve only looked into its stories. I’ve never been to Peru, I only know stories from there. Take this to the next level the beautiful tattoo was designed by a Boston artist, Dan Bythewood, I love the work, and eyeballing his site I found this beautiful piece of work. And Coffee is the fuel to my pen, the nitro to my brain. I can run it on unleaded but the performance isn’t good. I have a high octane brain. 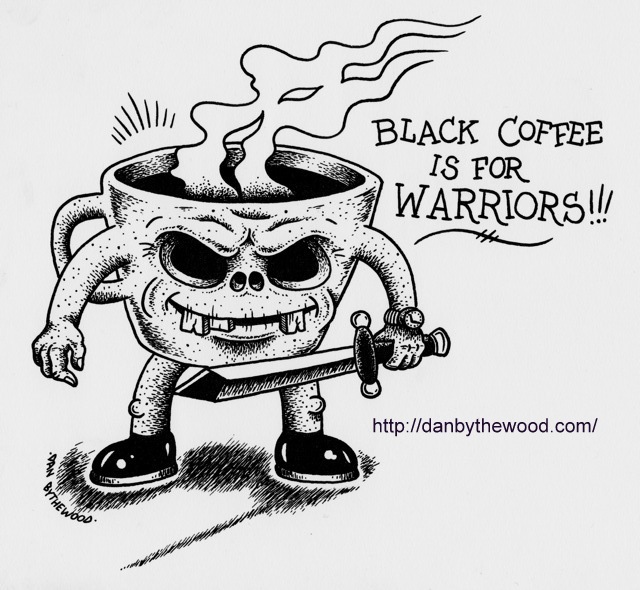 Gimme the good stuff, strong, just a bit bitter and black as ichor. Alright that’s all I have. I found out a friend loves the same author I do, enough to have his words tattooed onto his skin. And the artist he chose happens to dig coffee and have a funky sense of humor. Just a good day or surfing the internet. Finding connections and enjoying what other people have shared. What connections have you found today? LOVE this. Who knew!! More things we have in common!